This DMG Mori Seiki ULTIMILL V-3000/MSX-850 Vertical Machining Center was manufactured in 2006. Equipped with a Mitsubishi MEDALS 60/60S control unit, this model stands out due that can work with a spindle speed of 15000 rpm and has 4 axis. This Hurco VM 1 Vertical Machining Center was built in 2003 in Taiwan and has been working for only 17000 hours. Equipped with a Hurco Ultimax control unit, this machine can work with a spindle speed up to 10000 rpm. This Chiron FZ 12 W Magnum Vertical Machining Center was made in Germany in 1996 and is operated through a Siemens Sinumerik 810 M control unit. This model comes with a chip conveyor KNOLL, a filter KNOLL and a 2 x 4th axis Peiseler RT 160 with hydraulic brake. Machine can be inspected at anytime. 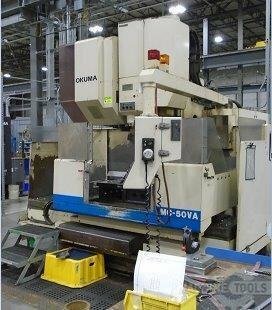 This Euma Spinner CAMS 200 Vertical Machining Center was built in 2008. This strong and reliable machine incorporates a spindle speed up to 8000 rpm. 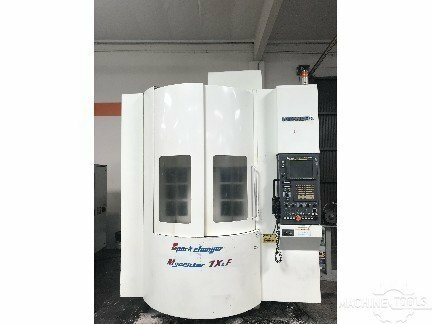 This Hurco VM1 Vertical Machining Center was manufactured in 2003 in Taiwan and has a working history of only 15000 production hours since then. Operated through a Hurco Ultimax control unit, this machine comes with a chip auger and a machine vice. This Chiron FZ 08 W Vertical Machining Center was made in Germany in 2001 and is operated through a siemens control unit. This model counts with an internal cooling and 3 axis. Kitamura Mycenter 1XiF SparkChanger VMC with: Fanuc 16i-MB CNC Control, Pallet Changer, Remote Hand Wheel, Chip Conveyor, and Coolant Tank. Fadal VMC 6030 Vertical Machining Center, sn: 9602084, 30" x 60" T-slot table 30-position automatic tool changer, Fadal CNC 88HS control. 44"/22"/24" X/Y/Z | 12k RPM | 30HP | 30T ATC | Machine in good running condition. Request for video. Sale “as is where is”.